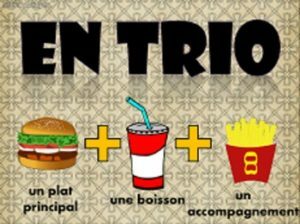 In this free sample, you’ll receive 4 centre activities to use to teach students about ordering a combo in a fast food restaurant in Quebec, with an emphasis on simulated authentic oral communication but touching on reading and minimal writing as well. This is one part of the soon-to-be-released Quebec Trip Pre-Teaching Kit: Food Package, which is a great way for FSL teachers to prepare their students to actually use the French language while participating in the cultural travel opportunity that is offered by so many schools. If you have any questions, suggestions or concerns, I would be happy to hear from you! Use the Q&A feature, or email me directly for a private discussion. If you found this product useful, please take a moment to rate it! to be notified of new products! Thanks!